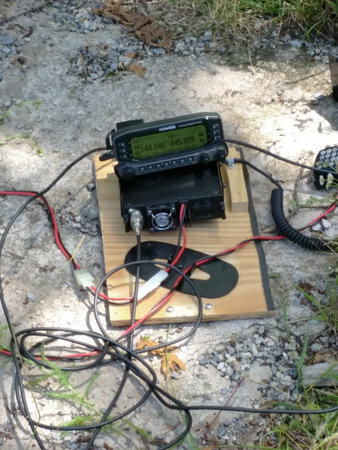 During the 2016 Appalachian Trail Golden Packet exercise the long chain of stations tried something new this year. At a given time we all switched from 1200 bps APRS packet passing to 9600 bps. Result? Seamless. Kenwood TM-D710A with aftermarket GPS option passing packets. 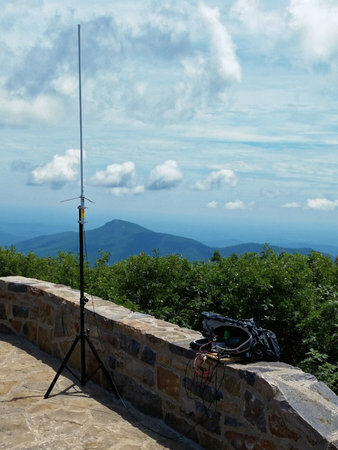 Diamond X50 antenna, Kenwood TM-D710A and 10 AH LiFePO battery atop Hawksbill Mountain during the 2016 Appalachian Trail Golden Packet. Why tell you about this here? It’s more verification the Kenwood D710 transceiver’s builtin TNC works just as well at 9600 as 1200. Yeah there are likely some subtle differences, but it’s nice to know not a single station that made the switch noticed any issues or degradation in performance. When push comes to shove, 1200 should have better chances of success. That said, gear for 9600 has come a long way and the 8x speed increase makes it worth a try in any new packet rollout.